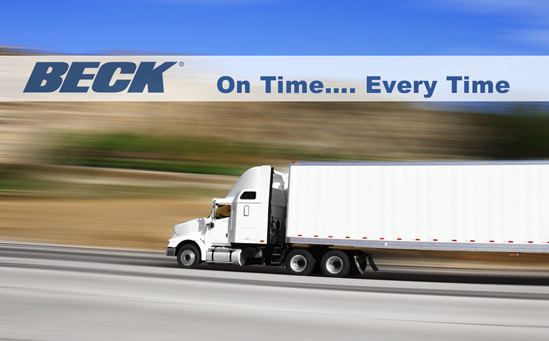 Beck employees take pride in never missing a delivery promise. We will work with you to support your product schedule. Beck maintains a complete stock of Drive Assemblies & Components for all your actuator needs, setting the industry standard for reliable delivery. Standard lead-times are 4-12 weeks, depending on quantity ordered. However, small orders may be custom-built and shipped quickly when our production schedule permits. If you require a delivery prior to standard leadtime call 215-968-4600. For larger orders, contact Beck and we will schedule delivery to meet your requirements. Typically shipped within 3 days. If necessary, parts can be shipped the same day. Beck’s Rapid Response Program allows most actuator configurations to be shipped same day (order received before 1PM EST) for a small fee.